I was discussing and pondering the issue of faith with a friend today. As I did I felt the Spirit usher me into a place that I will call “Pure Faith” or better yet, “Amazing Grace“. My friend was writing to me about all of the ways that he has accessed works of faith (healing the sick, deliverance, seeing the lost saves, etc.). He then began to write about the “finished work of the cross of Christ” and as he did I saw it like when Peter throws his net on the other side of the boat and catches the multitude of fish. In one scene I saw a person taking many steps, exerting so much effort, striving and trying figuring out what God wanted them to do next to “bring in the catch”. They threw a net out over and over believing for their promised catch to be brought in. There was faith but it was faith accompanied by a lot of works and human effort. The second scene was of this same person looking upon a pathway, a door and a key. The pathway was the life of Jesus, the door was the cross of Jesus and the key was the resurrection of Jesus. This person threw out their net upon the life, death and resurrection of Jesus (the finished work of grace) and suddenly their net was full to the point of breaking. With no human effort, just pure faith in His finished work, they had their “above and beyond what they could ask or imagine” (Ephesians 3:20). There is a mystery revealed here; the deep place is also the “come up here” place. It is both deep and high…amazing! When we access (by faith) the steps and path that Jesus walked for us, the doorway of the cross that He became sin for us upon and the victory over death that His resurrection secured then we enter into amazing grace and the fullness of faith. I am not suggesting that you never have steps to take, prophetic acts to do or seeds to plant but I am saying that I believe that this experience revealed that the Spirit is inviting us into the mystery of a deeper and higher place that is in the finished work of Christ. It is the “right side of the boat” where we are invited to cast our nets. His life, death and resurrection can be likened to the soil, the rain/sun and the fullness of the seed that bears fruit. 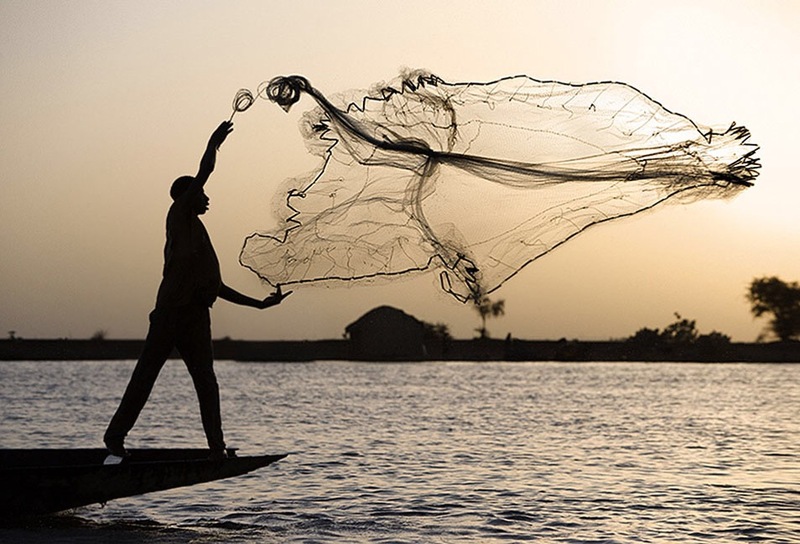 Today, cast your net of faith into the finished work of Jesus. It is there that His amazing grace will fill it to overflowing. Hi Kathi, I know you are super busy but do you have any suggestions or resources you can refer me to for how to pray for my school? I’m studying social work and I feel like there is a lot of spiritual stuff happening there in the education we are receiving. It’s sometimes difficult to discern what is good and what is not. And some of my professors have experienced a lot of pain and abuse at the hands of oppressive systems in our society. I feel like I’m getting beat up in the spirit there, instead of actually making a difference. If you don’t have time to respond I completely understand. Thank you.